LUMBY – Hardneck garlic grows superbly in BC and is different than the softneck varieties grown in hotter climates that grocery stores traditionally carry. Not only do hardneck varieties taste great, they can also be grown here organically while giving consumers a high-quality local alternative. The reason local garlic is found primarily at farmers’ markets and not at large grocers comes down to supply and demand, he says. “They don’t have the time to create relationships with these small growers,” explains Capellini. The big retailers want to make one call or send one email to a supplier who can guarantee a large enough supply. They won’t reach out to several small growers. “It became obvious over the years that the demand for high quality hardneck garlic is growing exponentially,” says Capellini. Capellini’s awareness of the opportunities grew as one BC multi-store produce market requested 500 pounds of local hardneck garlic from him. Demand grew to 5,000 pounds the first year and now sits at 20,000 pounds. The challenge is to get garlic from numerous small growers to retailers without involving a middleman taking a significant cut, reducing the profit to farmers. Capellini wants to see farmers sell directly. 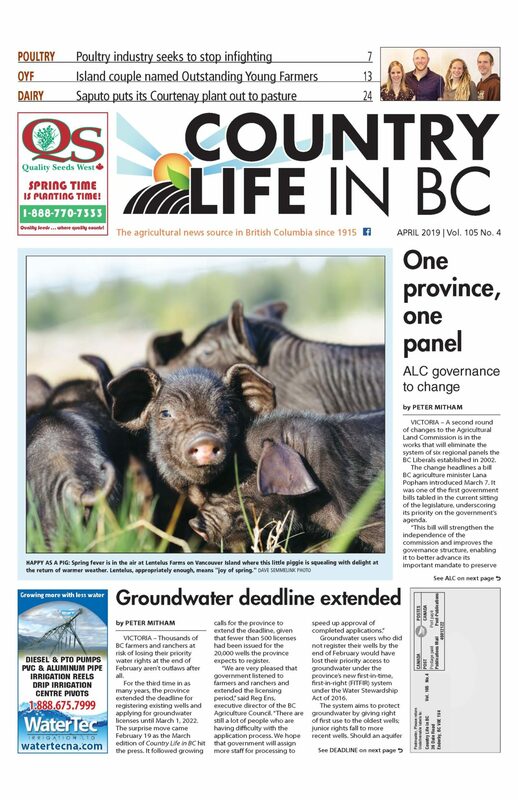 Capellini put his first bulbs in the ground in 2009 and now supplies seed garlic to growers across BC along with the information they need to succeed. He also knows what it’s like dealing with corporations and co-operatives that aren’t right for garlic growers. Instead, he looks to one of his workshop participants, Abdul Majid, as an example of how a BC garlic co-op could work. 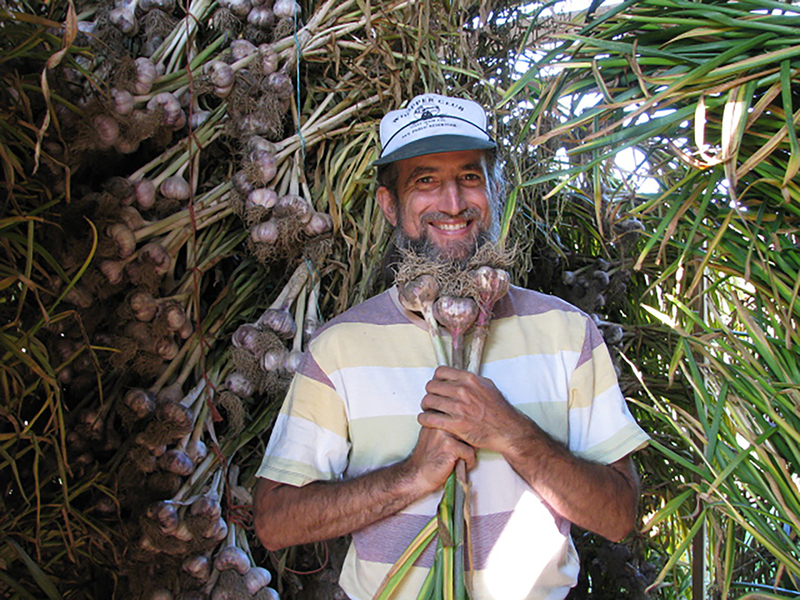 Majid is the founder of BC Garlic Growers Inc., based in Abbotsford. “All his life, he’s been involved in helping farmers,” Capellini says of Majid. Despite being a professional architectural model builder, Majid and his family attended one of Capellini’s garlic workshops in 2015. Majid now has approximately 30 rows planted to hardneck garlic varieties, each row running 300 feet. Majid also acquires garlic from other local growers and works as a reseller to supply retailers through BC Garlic Growers. “He will sell directly into that level,” Capellini explains. It isn’t a traditional co-op because Majid buys other growers’ garlic outright, but Capellini nevertheless sees the venture as an exercise in co-operation. Growers working with Majid share knowledge, skills and other resources like equipment, “a very big price tag for garlic,” Capellini says. Growers may pay a rental fee for using the equipment. Besides what Majid is doing, Capellini has another idea. This national-level online hub could make things easier for buyers by creating a portal through which they could easily access the regional hub closest to them and instantly tap into a local garlic supply. Capellini says other growers have been receptive to his ideas about working together, but he’d ultimately like to see others take them on and run with them. His hands are already full with his own business. “I see a demand that is completely unsatiated for local garlic in Canada,” he says. While the demand will eventually reach a ceiling, Capellini believes it’s important to prepare by moving sales beyond farmers’ markets and into mainstream grocery and produce providers.